These sporting greats inspired us and captured our hearts. 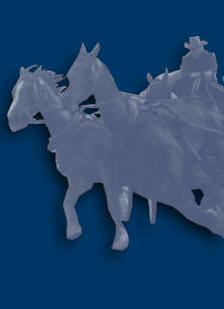 This year, they take their rightful place in the Wetaskiwin and County Sports Hall of Fame. Photos and more biographical information and details of their sporting achievements will be linked when official induction ceremonies take place on April 27, 2019. 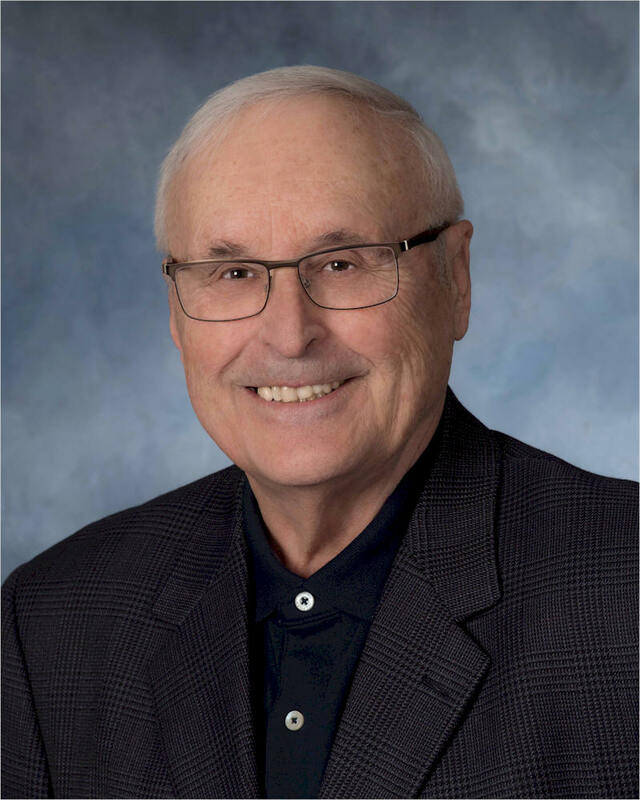 Jack Manson is being inducted into the Wetaskiwin & County Sports Hall of Fame for his special achievements in the sport of hockey. 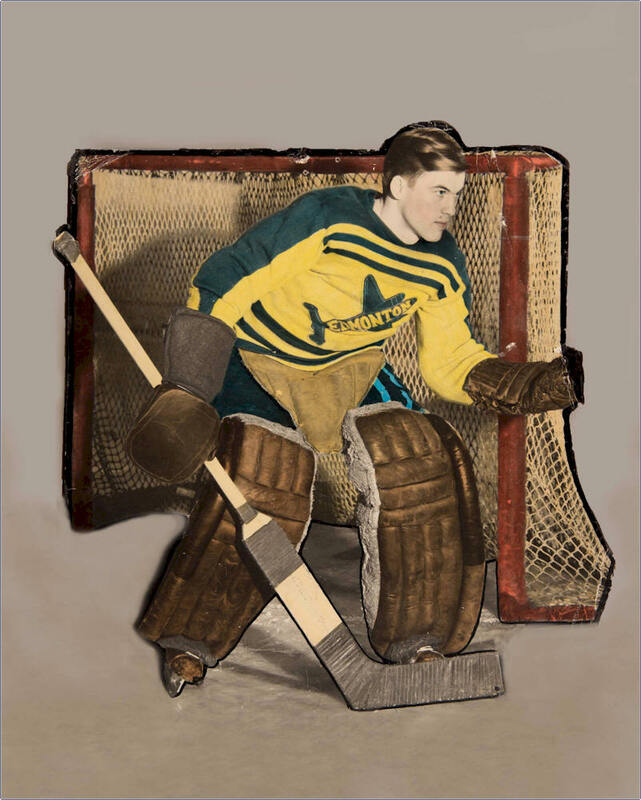 Jack played goalie for two outstanding and historic Edmonton hockey teams, the Edmonton Flyers, winners of the 1948-49 Allan Cup and the Edmonton Mercurys, winners of the 1950 World Championship. As a goalie for both teams, Jack has been inducted into the Alberta Sports Hall of Fame (Flyers-2005, Mercurys-2011), the Alberta Hockey Hall of Fame (F-2013, M-2007) and the Edmonton Sports Hall of Fame (F-2001, M-1995). Jack has the distinction of being the only hockey player of his era that was a member of both of these famous Edmonton amateur hockey teams. In his 93rd year, Jack is now receiving the individual recognition he deserves for his amazing hockey accomplishments. 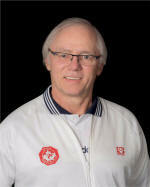 Blaine Kjorlien has always had a passion for sports. He was born in Wetaskiwin and grew up involved in a variety of community and school sports including hockey, fastball, football and wrestling. 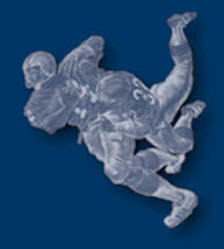 It wasn’t until high school and university that Blaine really excelled as an athlete. He gained renown and success in both football and wrestling at Camrose Lutheran College and in wrestling at the University of Alberta. Blaine's passion for sport continued into his teaching career where he was a successful and influential coach in football and wrestling at Wetaskiwin Composite High School. Because of his impressive athletic and coaching accomplishments Blaine is indeed worthy of this induction. Bill Mojelski has been involved in Wetaskiwin sports and recreation as a coach, referee, volunteer and historian since he moved to Wetaskiwin in 1963 and began teaching at Wetaskiwin High School. For fifty-six years he has spent hours volunteering his time and effort in our community. Bill operates on the premise “if it isn’t recorded it didn’t happen” and to this end he has worked tirelessly documenting Wetaskiwin and Wetaskiwin County’s sporting history, producing two research documents, written the nomination materials and anecdotal notes for numerous teams and individuals and helped in developing the goals and directions for our board. Bill’s contributions to our community make him more than worthy of this induction. 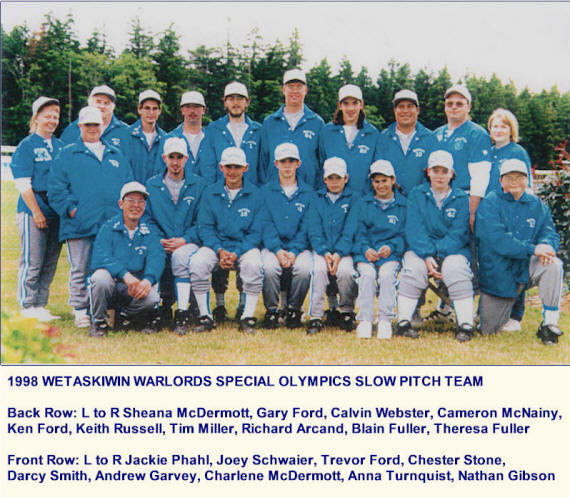 The Wetaskiwin Warlords were a Special Olympics team that was organized for a couple of years in order to play ball in the St. Paul Alberta’s Special Olympics Annual Tournament. Teams from all over the province and even other provinces competed at this tournament. After the first year of participating in St Paul and realizing how much fun it was, two teams from Wetaskiwin attended the tournament the second year, an “A” team and a “B” team. It was in the second year that the “A” team garnered success with some rather accomplished athletes. The “A” team won the tournament and both teams had a great, fun-filled experience. A couple of weeks after the tournament Special Olympics Alberta informed the Warlords that because of their win they were chosen to be Team Alberta at a national tournament in Surrey BC.